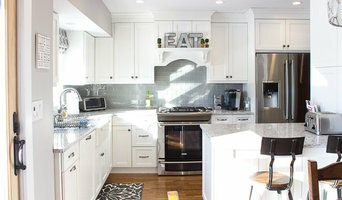 Best of Houzz 2 years in a row! Houzz/ASID guest speaker at 2015 ICFF show. As the owner and creative director of her eponymous interior design firm, Deborah Martin offers comprehensive design services to discriminating upmarket clients based on the premise that every project is unique. With a strong commitment to searching for the most inspiring and sensational luxury design elements and to the highest level of service, Deborah Martin Designs creates sophisticated yet welcoming environments. A true interior design professional and trusted adviser, Deborah employs a demonstrated versatility in creating dynamic, distinctive and livable interiors for luxury residential clients. An experienced practitioner who is able to solve problems and avoid costly mistakes in creating aesthetically pleasing and functional spaces, Deborah designs to meet the client's needs and knows "it's all about the details." With a flair for infusing traditional spaces with a fresh mix of contemporary design elements through the use of color, extraordinary lighting and pared down but important accessories, Deborah understands the importance of listening to the client's needs and ideas. "By definition, my signature style is an understated, sophisticated elegance with perennial longevity." One is the gathering place. One is the private retreat. Together, they define a home and how we feel about it. At Green Art, we have everything you need to get your next kitchen or bath just right. As a family-run wholesale and retail supplier, we’ve partnered with thousands of interior designers, architects, plumbers, builders, and contractors on residential and commercial projects from Manhattan to Montauk and beyond. Green Art offers everything from complete professional kitchen & bath design, cabinetry and countertops, lighting, fixtures, and appliances, to plumbing parts, heating and ventilation supplies, water heaters and boilers, water purification, building materials, irrigation, and fire suppression products. Visit our showrooms to experience the Green Art difference: 65 S Columbus Ave, Freeport, NY 17 E. Jericho Tpke, Huntington Station, NY 1576 County Rd 39, Southampton, NY Go to www.GreenArtPlumbing.com for more information and to register an account. If you don't see it online, give us a call at (516)223-3660 or email info@greenartplumbing.com. We here at A Direct are one giant family... in that we ARE family. The Moran family started A Direct back in 1996 with the idea to provide contractors a reliable and experienced kitchen and bath designer center. Over 19 years later, A Direct has grown to provide the same service to not only contractors, but to mass builders, architects and interior designers. We are proud to have become Kemper's #1 New York cabinet distributor for the past 18+ years. Our kitchen designers were cabinet makers, and contractors themselves. They not only have job site expertise, but over 30 plus years of designing under their belts. Your kitchen designer will be with you from start to finish, and provide you a true one-on-one service. We know renovations can be stressful, dreaded, and costly. But we will work hard to make your experience as smooth and enjoyable as possible- all while creating the kitchen & bathroom you've been dreaming of! 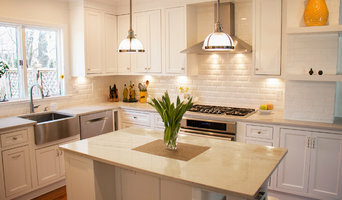 Top Kitchen & Bathroom Remodeler Serving Brookhaven for 30+ Years! Island Homecraft is owned and operated by Dan Bolger, a master craftsman with over 29 years of experience in home remodeling. 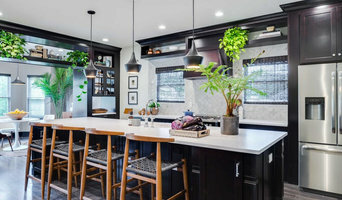 After Dan’s long history as a cabinet maker and interior renovator, it only seemed natural for him to open his own business specializing in complete kitchen remodeling. Island Homecraft is an interior renovation company that performs a variety of interior alterations. Most of our work has come to us via referrals from past customers, interior designers, builders and architects. We specialize in kitchen remodeling and over the years have developed a reputable network of licensed and insured electricians, plumbers and other related professionals to ensure a smooth, timely, and well-coordinated project for all of our customers. Dan Bolger has been licensed and insured since 1991 providing Long Islanders with quality, reliable service for over 24 years. We are licensed and insured, and proudly serve all of Nassau and Suffolk counties. We are a full-service interior design firm, from construction to the finishing touches. Twice as Nice has earned a solid reputation from a growing list of satisfied clients in Manhattan, the Hamptons and everywhere in-between. Our approach is simple. Each client receives the personal attention necessary to brainstorm the endless design possibilities with two innovative minds. By combining our two different approaches, we are able to achieve a unique style that perfectly conveys the personalities, lifestyle and taste of each client. At Twice as Nice we ensure that every client receives a fun, rewarding experience that will result in a home that they will enjoy for years to come.It is extremely important to us that our clients receive exceptional service and personal attention throughout their projects. Our clients are involved in all construction and design decisions. It is up to our clients to set the pace of the project whether it is a small renovation or new construction. Cabinets and cupboards are crucial organizational components of any kitchen or bathroom. Yet, for such an essential element, homeowners often compromise on their cabinetry, settling for cabinets that neither complement their style or meet their needs. Custom cabinetmakers in Port Jefferson, NY has the transformative power to create a practical yet personalized space unique to you by creating custom cabinets that have all the storage elements you need as well as the stylistic ones. Custom cabinets have the benefit of being designed specifically for you in terms of both appearance and usability. When it comes to stock cabinetry, you are limited to generic, cookie-cutter designs, dimensions and colors, which isn’t ideal for outfitting a uniquely shaped kitchen or for showcasing your personal style. Custom cabinets are solely crafted based on your specifications and needs, and while they are pricier than pre-made pieces, you’ll receive a higher level of craftsmanship and durability when you work with a professional on Houzz who specializes in custom cabinets in Port Jefferson, NY. Create an ideabook on Houzz and save examples of the custom cabinets you want — this will help your Port Jefferson custom cabinetmaker get on board with your vision and make your design a reality. Additionally, if you are undergoing a remodel, keep in mind that a blueprint needs to be finalized prior to any kind of cabinet building and installing; given the one-of-a-kind nature of a custom cabinet, room dimensions need to be completely finalized before any work can commence.